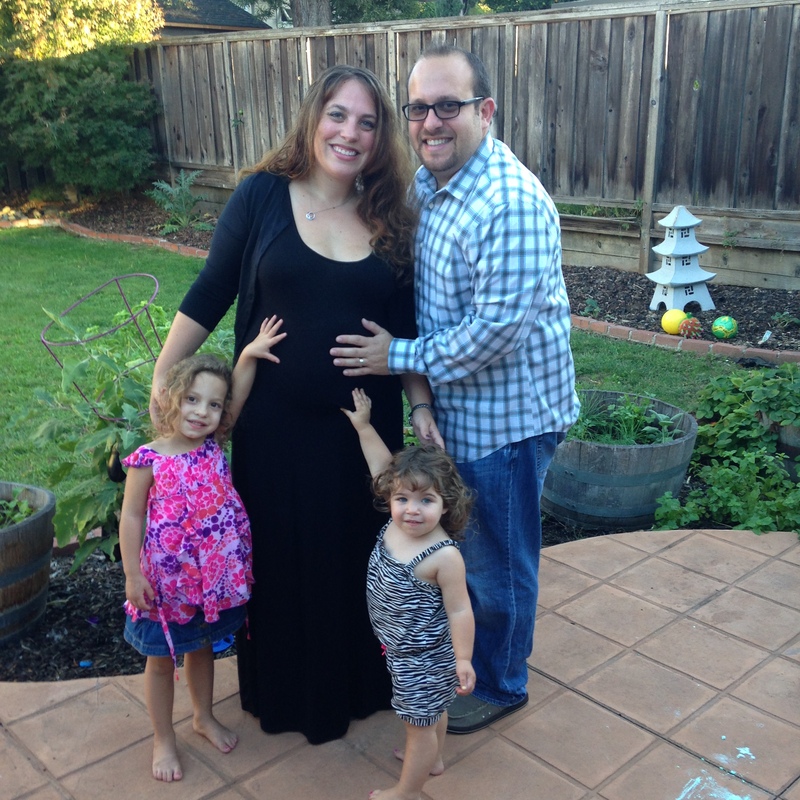 It seems like now is as good a time as any to talk about my pregnancy with baby #3 on my blog. I’ve mentioned it once before but hadn’t been sure what more to say… until now. Telling people you’re pregnant with your first child is constantly joyous. People’s eyes light up with excitement when they hear you’re bringing a new life into the world. They dote on your entrance to the land of parenting. They express emotions like happiness and show genuine excitement for the journey that’s unfolding. Now, with 10 weeks to go, I’m both overwhelmingly excited and terrified about having three kids. Our four and two year-olds are already so mommy-centric, what will happen when there’s a baby needing my attention, too? How long will it take these three, each two years apart from the next, to realize that they outnumber us? How will the growing pains of moving from two to three affect us (aside from the already inevitable purchases of a minivan and a king bed)? Just like anything else, we all have to do what feels right for us. And this, having a third baby, no matter how crazy we might seem (or might be) feels right for us. And just because it’s not our first rodeo doesn’t mean we still aren’t experiencing pregnancy in a unique way independent of the other two. Each pregnancy has been different – from the way I’ve carried to the way I’ve felt (definitely most exhausted with this one!). Last week, after quietly tracking my “kick counts” to ensure that the baby was moving enough each day, I felt unsure… my once karate chopping internal subletter had become quiet and calm. Something didn’t feel right. So we went to the hospital to get checked out. Everything is fine (thankfully!) and we were released after a few hours of monitoring. But it got me to thinking about this whole journey. Regardless of how many times you’ve been through it before, whether it’s your first baby or your third (or your 47th if you’re a Duggar), it’s all a journey with joy and excitement combined with foreign obstacles and concerns. Being pregnant with a third baby is really like being pregnant with a first baby for the third time. Yes, I know more than I did the first (and second) times around, but the magnitude of pregnancy and bringing a new life into the world isn’t at all diminished by prior experience… even if we are crazy! You’re not crazy! You have a wonderful family and baby #3 is so lucky to be a part of it!